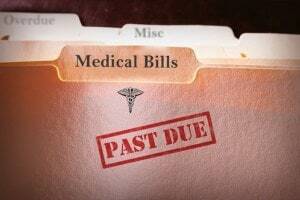 How do I handle my medical bills after a car accident in California? As an attorney that has been representing victims of auto accidents in the Golden State for over 20 years, this is one of the questions that I get asked a lot. Unfortunately, it is a question without a simple answer because there are a lot of factors that go into how to deal with health care related expenses that stem from being injured in a motor vehicle accident. These involve issues of legal fault, various types of insurance coverage and provisions and other practical aspects. Your health should be your number one priority after being injured in a car wreck. If I see one mistake that many people make, it is worrying about who will pay the medical bills and how they will get paid instead of simply getting the medical attention needed. When you get involved in a motor vehicle crash and you experience any type of visible injuries such as cuts, bruises, broken bones or even just physical pain in your neck, back or extremities, it is always advisable to at least get checked out by a medical professional. Never hesitate to accept an offer of emergency medical transportation via ambulance from the scene of the accident or fail to go see a doctor upon the onset of pain in the days following the incident. Not only is this advisable from a health standpoint but, auto insurance carriers in California tend to use alleged “delay in treatment” as one of the major excuses for denying a claim or attempting to reduce the settlement value of your case. Am I Still Entitled to Emergency and Other Necessary Medical Treatment in California if I Don’t Have Health Insurance? The short answer here is, yes. Under both state and federal law, hospitals are required to provide emergency treatment to stabilize the medical condition of any patient injured in a motor vehicle collision. However, if you do not have medical insurance, you will be billed directly by the medical providers for the services rendered. While many hospitals have discounts or ability to apply for a waiver of bills, there is nothing legally requiring these medical providers to treat people free of charge. This means that people without health insurance can and do get billed directly for services rendered. They also do not get the benefit of contractual reductions required by medical insurance companies or legally mandated reductions for medicare or Medi-Cal rates. Technically, you can be billed for the full amount and you can be sent to collections or sued for failing to pay these bills. If you Have Health Insurance, how do the Medical Bills get Handled? If you have health insurance including private health plans, Medicare, Medi-Cal, Covered California or any other health care program including “Obamacare” programs, the medical provider is required to bill insurance but, may demand that you pay any co-payment amount “co-pays” or meet a deductible. What payments are made or what you are required to pay directly as an individual varies depending upon the terms of your insurance policy or health plan. One of the major issues that come up is when a person is transported by an ambulance or treated at a facility that is “out of network” for their health plan. Other times, medical providers simply attempt to collect the full amount from the patient without ever attempting to bill their health insurance. Still other times, medical providers attempt to “balance bill” or “surprise bill” patients even though they have already been paid by health insurance at the contractual rate (a practice which is prohibited by California law but, still takes place too often). Even if the health insurance provider is billed and pays out money, the health insurance policy can (and often does) assert “subrogation rights”. This means that they can demand to be repaid all or part of what they paid out on your behalf if they find out that you will be recovering money from a third party (or that person’s auto insurance carrier). Many auto insurance policies in California have what is called Medical Payments coverage (or “med-pay”). This provides for payments of medical expenses up to a certain policy limit amount. It is usually a fairly low amount (most times less than $10,000) but, it certainly provides for another means to get the bills paid. Most (if not all) of these provisions also come with “subrogation rights” (or the right to claim reimbursement if you are awarded a settlement or judgment from the other party or their auto insurance carrier). Some medical providers (including quality specialists like Orthopedic Surgeons or licensed physical therapists) can and do agree to treat patients with no upfront charges but, an agreement to pay the medical bills out of the proceeds of a personal injury settlement. This may allow for a person with no health insurance or a health insurance provider unwilling to approve treatment, an option to get necessary medical care including therapy, possible surgery or procedures such as epidural injections and even medications based upon a written agreement to pay for these services at the time of settlement of their car accident case. You should keep in mind that these agreements usually require payment regardless of the outcome of the personal injury case. Also, most medical providers are not willing to enter into a treatment on a lien basis unless and until an attorney has referred the patient and verified the validity of their legal claims to recovery. Isn’t the Person who hit me Legally Responsible to pay my Medical Bills? This depends upon issues of legal fault. California is an “at fault” insurance jurisdiction, which means that if a party is found to be legally at fault in an accident, their insurance company is required to pay all “reasonable and necessary” medical expenses. Most often legal fault is determined based upon a negligence standard which means that both the driver and potentially the registered owner may be held liable for payment of medical bills incurred as a result of their negligent acts. Most often, whether someone was negligent will hinge upon a violation of the rules of the road as set forth in the California Vehicle Code or based upon a general standard that every person should act in a reasonable manner in the operation or entrustment of their motor vehicle. Issues of Comparative Fault: The problem comes when there is a dispute as to fault. Legal fault in California can be apportioned to more than one person. This means that if an argument can be made that the person who hit you was at fault but, you or another driver was also at fault, the law can put a cap on recovery based upon the percentage of fault of each party. For example, if you get rear-ended by a vehicle that went out of control because another vehicle came swerved into them, the law may say that the party that rear-ended you is 60% at fault and the one that swerved is 40% at fault. If your total medical bills are $10,000, Party One would be responsible for $6,000 and Party Two for $4,000. Likewise, if you were not wearing your seatbelt, it may be that you are held to be 20% responsible for your injuries and their liability would be reduced to $8,000 (putting Party one on the hook for $4,800 and Party Two for $3,200). Arguments as to the “Reasonable Value” of the Medical Services: The other complicating factor is that the law requires responsible parties to only pay for the “reasonable value” of medical treatment. Because insurance companies are in the business of trying to pay out as little as possible, auto accident claims adjusters often argue that even though the bill is $1,000, it really shouldn’t have cost more than $800, for an X-ray or some type of treatment. California law further complicates things with a series of cases, most notably Howell v. Hamilton Meats Co., where the California Supreme Court held that the “reasonable value” of medical services is the amount paid by health insurance rather than the amount of the actual bill. As you can see, there are many issues that must be analyzed to determine the best way to handle medical bills after a motor vehicle collision in California. A knowledgeable and experienced personal injury attorney can contact emergency medical providers and make sure that proper billing practices were followed. A good car accident lawyer can let bill collectors know that another party is legally at fault and request that collection efforts be suspended pending resolution by way of settlement or judgment. An experienced auto accident attorney can help an injured victim find medical care on a lien if they cannot afford to pay for the cost of treatment upfront. A quality accident and injury lawyer can analyze the legal issues of fault and arguments of comparative fault and what the “reasonable value” of the medical bills should be under California law. Attorneys do charge fees for their services but, can work with no upfront fees or costs on a contingency arrangement, can maximize the value of the claim at many times what you would be offered on your own and can negotiate reductions in medical liens on your behalf to net your more money. In the end, this results in a much higher overall settlement figure and a legal advocate to ensure that the injured party is not left “holding the bag” for medical bills after a car accident. For a free consultation on any car accident claim in California, call the toll free injury helpline at 866-966-5240.